We might not want to admit it, but S’mores aren’t just for Girl Scouts—or kids, for that matter. Plenty of adults indulge in them every summer. 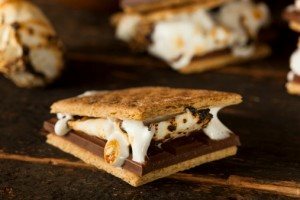 Try shaking up the basic ingredients—use chocolate graham crackers instead of regular or flavored marshmallows. It goes without saying that you can go gourmet with the chocolate. Some of the recipes we’ve found involve using flavorful Ghiardelli squares rather than Hershey bars—or dark chocolate instead of milk chocolate.